Revitalash serum is one of the most popular. Women often choose it as they think that since the price is so high, the serum must work better and more quickly than other products. The effect of longer lashes lasts after six months of regular treatment. It comes in various capacities so if you want to make sure that the serum doesn’t cause any irritation or allergies and you don’t want to pay a lot of money – buy the smaller version e.g. 1 ml. It is crucial because Revitalash should be applied twice a day. You can enjoy first visible effect after 15-20 days: eyelashes get darker and defined. Falling out lashes make room for the new ones. After more or less four months the lashes gain volume, become longer and darker, the lash line gets fuller. 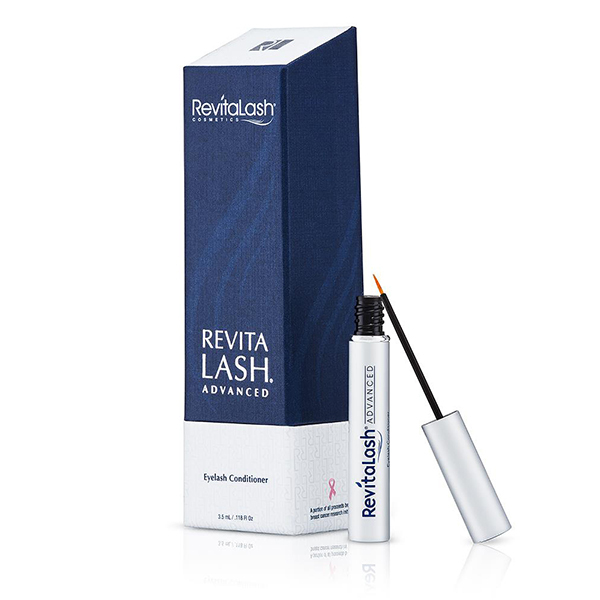 Revitalash eyelash enhancing serum comes in a neat bottle with a good brush (made of elastic hairs). It is well-absorbed. The applicator measures a proper amount of the liquid that should be applied to the lash line – no dripping. Revitalash serum must be applied twice a day in order to deliver an optimal dose of ingredients that stimulate eyelash growth. That is why, the product runs out more quickly. There is a thin eyeliner-like brush. When you apply the serum, you must do it energetically and skilfully. Remember that the skin must be clean and dry before the application. The serum can also be used to nourish the eyebrows.